Is Kerala “God’s Own Country”??? Thanks to a family wedding in Trivandrum recently, got the opportunity to take a short vacation break at Kerala. Yet again. With both my parents hailing from Kottayam a district in Central Kerala, I have lost the count of times we have holidayed in God’s Own Country. 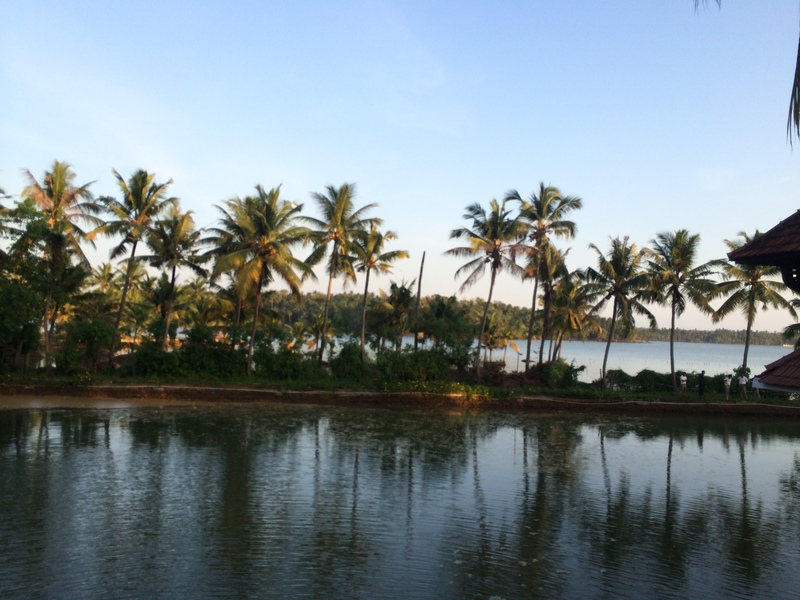 As a child, our annual vacations would begin and end with sojourns to Kottayam. Throw in atleast one annual visit for some family occasion, Annual Sabarimala trip, 2-3 visits a year to Kerala was a given. That was till I got busy chasing entry to a “professional” course. After that the frequency of visits reduced. But the craving to visit hasn’t. The initial visits to Kerala were long before it became “the Kerala” of today. It was just one’s own country. Beautiful, Green and generally serene. The swaying coconut palms, photogenic countryside, colourful Kathakali,… were all there but we were never wide-eyed by those that time, as we are today!!! Swimming in the river, visit to coconut groves, sipping of tender coconuts, ride in the country boat, visit to rubber estates, seeing Kathakali performances in the night, feeding elephants in the house, watching highly traditional rituals in the temple,…,.. were all but quite the usual stuff we did year after year during annual vacations. Somewhere in the late 90’s and the turn of this century was when the word Kerala started getting a new dimension. Coincidentally that was the time when my visits reduced in frequency. Am not sure which of these made a difference. 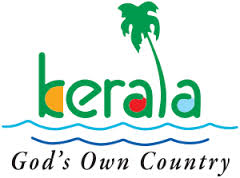 Was it the superbly executed marketing campaign positioning Kerala as “God’s Own Country”? Or was it Arundati Roy’s Booker winner –‘God of small things’ set in a small place called Aymanam in Kottayam that kick started the romanticism with Kerala? Nobody knows or may be God only knows 🙂 The next we hear was that Kerala has been ranked among the top 10 “Paradises on Earth“ by National Geographic Traveller! After this the Gods haven’t stopped smiling on their own country. Tourists by the millions have been ever since checking-in to the state – both Desi and the foreigner types. The small strips of waterways extending from the sea to the land became the “beautiful backwaters of Kerala”, the country boat which was perched from the roof and idling in everyone’s house transformed into a rustic Vallam (boat) and started fetching money in thousands if you are open to parting the same to hotels and travel companies. Spices like pepper, cardamom,..,… which were grown in the backyard became “Exotic products from the Spice village”!!! Is Kerala really God’s Own Country? This question has been haunting me for quite some time now. The last few visits to the state have helped in unravelling the answer to the question. First up, am yet to locate another place with smaller confines like Kerala with sea on one side, hill stations on the other, a vast of green forest cover in between, water ways which are calm and landspaces which are clean. Having said that even in India, it’s not just Kerala which has been blessed with the bounty of Nature. There are quite a few other states as well. For example, Kerala’s immediate neighbour Karnataka immediately springs to my mind. But no other place has been able to leverage what it has, better than Kerala , “Gujarat’s Khushboo” and “Ajab Gajab Madhya Pradesh” notwithstanding!!! Having visited quite a few other states in India I can vouch that Kerala is the most tourist friendly state in the country. For a state with low or no manufacturing activity to speak of, the spurt in tourism came as God’s own blessing. May be for that reason, Keralites imbibed tourism as a possible panacea to joblessness in the state with little production activity. Fortunately tourism being a service industry has been spared of the ills of trade unionism atleast as I write this. The near complete literacy and more than that being a highly NRI populated state, the awareness levels on cleanliness and environment are very high. Tourism in Kerala is well-organized and touts few. Unlike the neighboring Tamilnadu where people have abhorred Hindi as a language for long, Kerala never did that. So the locals manage to speak in Hindi with visitors from the North though in highly accented version. Plastic free zones are indeed free of plastics. Well, almost. So gradually Kerala has started upselling itself from a plain vanilla tourist destination to panoply of value added offerings. 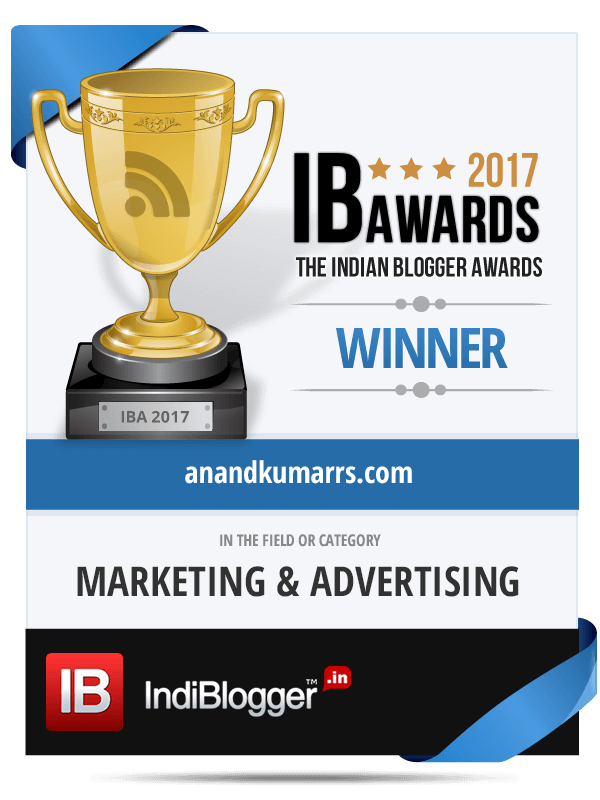 Ecotourism, Ayurveda tourism, Spiritual tourism, Plantation tourism, Elephant tourism, Wellness tourism… ,.. and what have you. In a product like tourist state most important is the experience of the visitor and the subsequent word of mouth or in today’s lingo viral communication. Who is the brand ambassador for “Apple’s I phone”?? Is it a Bollywood actor? Cricketer? Nope. It’s you and me. A great experiential product sells by positive word of mouth of its users. So has been Kerala. Check this thumbs up from CNN!!! So the answer to that question – Is Kerala really God’s Own Country” could very well be a big YES!!! If you have not visited, plan one asap. No, I am not paid for writing this!!! Will Metro in Mumbai bring in more “Will”??? The newspaper of today fluttering in front of me announces the flagging of Metro Rail in Mumbai today and as I key these words, it would have been flagged off, some last minute posturing between the Govt. and Reliance over the fares notwithstanding. Reliance was the successful private bidder for this project which was supposed to be on PPP (Public Private Partnership) model. Tomorrow in Mumbai local trains and near water coolers in offices many will be singing paeans to the launch of the Mumbai Metro. Real estate brokers who have been jacking up the rates of properties along the Metro line for 10 years now claiming ‘Metro Aaraha Hai’( like they have been doing in Navi Mumbai showing picture of one empty land in Panvel with a board which says “Site for New International Airport”) will now say that their promise has been kept!!! Not to mention of the viral pictures, videos and messages which will “forward” on WhatsApp, FB,..!!! Just that the project which was an absolute must for a city like Mumbai has ambled in some 20 years late. If at all if there was any city in India which needed a Metro in the first place, it was Mumbai. For years the suburban rail network built by the British has been literally carrying the commute burden of the Mumbaikars without a break down as efficiently as possible. Though it was obvious that it was bursting at its seams, the administration was only working on putting bandages here and there and flogging the same without seriously thinking of an alternative. Kolkata surprisingly with Communists at its helm for more than 3 decades implemented the Metro 1st in India. With the support of Soviet specialists (not surprisingly) and inspired by the idea of Public investments in infrastructure, Kolkata went ahead with the Metro and commissioned the same as early as in 1984, 10- 12 years after laying the foundation. Delhi was the next in line to adopt the Metro Rail. Delhi ofcourse had 2 things going in its favour. The Common Wealth Games which Delhi hosted and the leadership of Mr. E. Sreedharan (Now called the Metroman). Both these ensured that Delhi Metro was on track in record time. Mumbai was not blessed with either. In Mumbai when you really want something to happen, the whole political world conspires to delay it!!! Is this city Paul Coelho’s nemesis??? 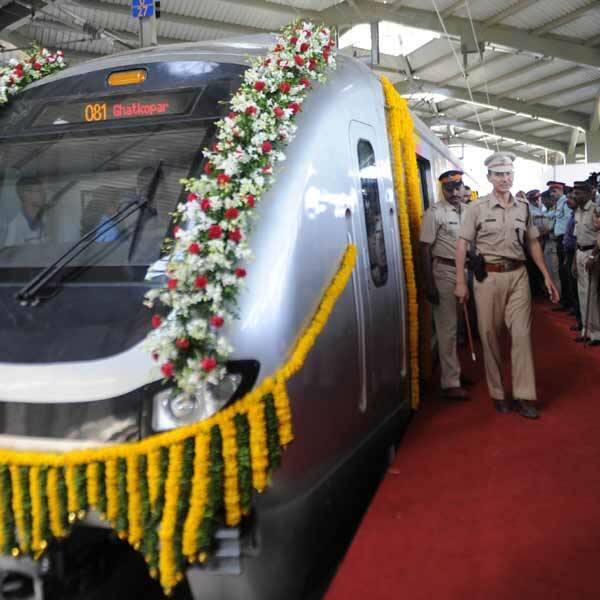 30 years after it was conceived and 10 years after its Bhumi Pujan, finally the day dawned for commissioning the Metro in Mumbai. And this is true for every infrastructure project in Mumbai. I remember the ‘Vikhroli Jogeswari Link Road’ project a crucial one linking the eastern and western suburbs of Mumbai started when I joined my last company in 2000. It got completed in 2011 the year I left that company. 11 years to complete a Road project??? During those 11 years as I was passing by that road day in and day out suffering from long traffic snarls due to “Work in slow progress”, I was convinced that the much needed political will needed in ensuring fast implementation was missing among the Mumbai rulers. And this I would say is true cutting across all political parties which have been in power in the state in the last 50 years. Here I must mention with abundant adoration the work and the difference made by one T.Chandrasekhar an IAS officer who as Municipal Commissioner of Thane in the late 90’s changed the face of Thane in 3 years. Within months after he took over, he cleared illegal slums and hawkers and launched a massive road widening and beautification drive. He had the backing of the political class till the time he didn’t touch their vested interests. Trouble started brewing when he started acting on illegal restaurants, encroachments and buildings. The Municipal councilors passed a resolution to sack him but eventually backed off when public showed solidarity behind him and Bal Thackeray the late Shiv Sena Chief supported him in his endeavour. As part of his master plan Chandrasekhar had in fact started work on a Metro Rail project within Thane. Unfortunately like all good things in this country Thane’s tryst with better destiny ended when he was “promoted” and transferred to Nagpur. 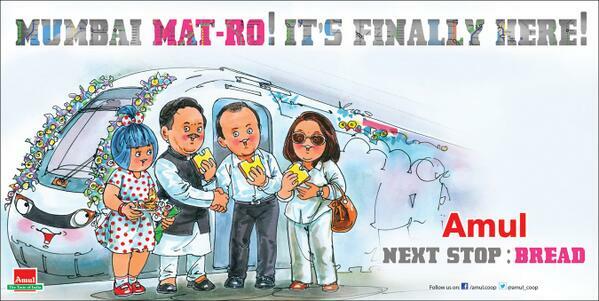 The Thane Metro dream ended then. He came back to Mumbai years later and was made responsible for Infrastructure projects. But frustrated by lack of support and political interference he resigned from IAS and is now a potential AAP candidate 🙂 In the mean-time Mumbai continued to suffer. Its clear that if there is political will a transformation is possible. Whether it is Express highways, a decent mass public transport system or world class airport Mumbai has been 20-25 years behind in getting them. Few months back as Mumbaikars we were lucky to get a world class International airport terminal. All along we had a bus stand masquerading as an airport. As I mentioned, may be 20 years late. Today has been the day of the Metro. And by the time the 3 phases of the Metro will be completed and it begins to make a difference to commuting public I guess it will be another 10 years away. With India in the throes of change after the recently held General Elections one can say with certitude that people have voted for development and positive change. One hopes that the administrators of Mumbai also will get the message and work towards making Mumbai a better place to live. “We will make Mumbai a Shanghai” – this baloney has been mouthed by the rulers for long. The moot question is whether there is enough stock of “will” for the same?? X: Metro came to Mumbai but it came so late!! Y: Be happy. It atleast came late not after you became Late !! !